Total weight capacity of 1800 lb. 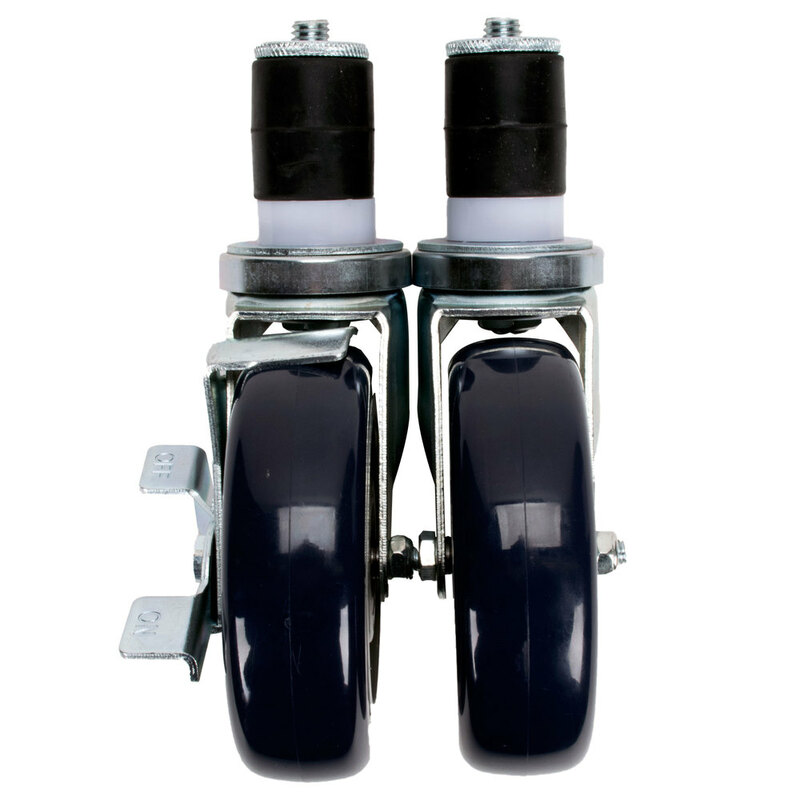 This Regency heavy-duty 5" caster set lets you turn any work table or equipment stand with six standard legs into a mobile work station. 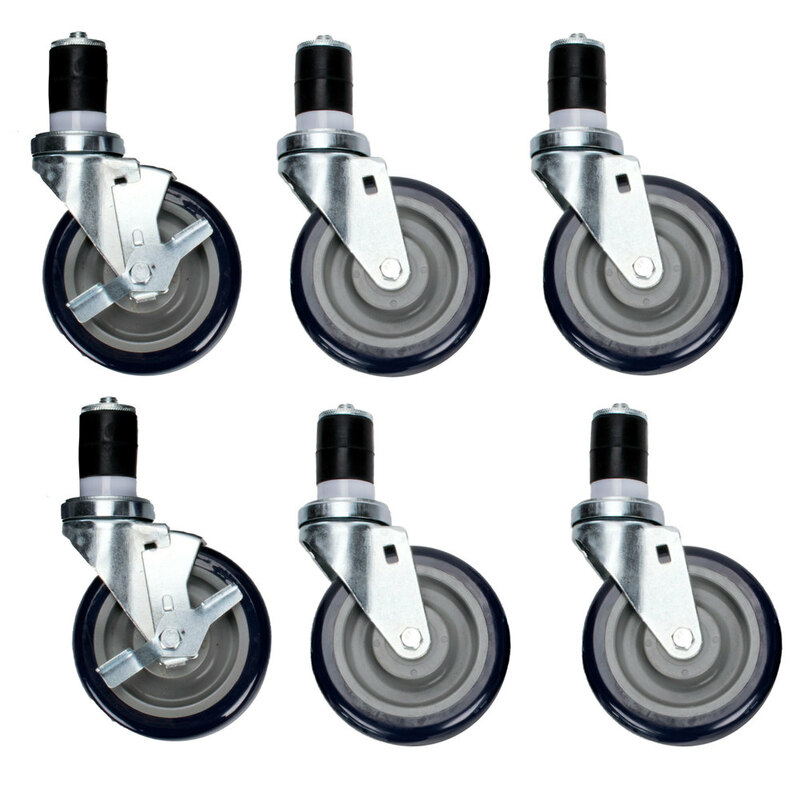 Each set includes 6 polyurethane casters; 4 swivel, 2 with brake. It gives your equipment stands and tables the durability you require from a set of casters for heavy-duty use, and the versatility that having a mobile table offers. 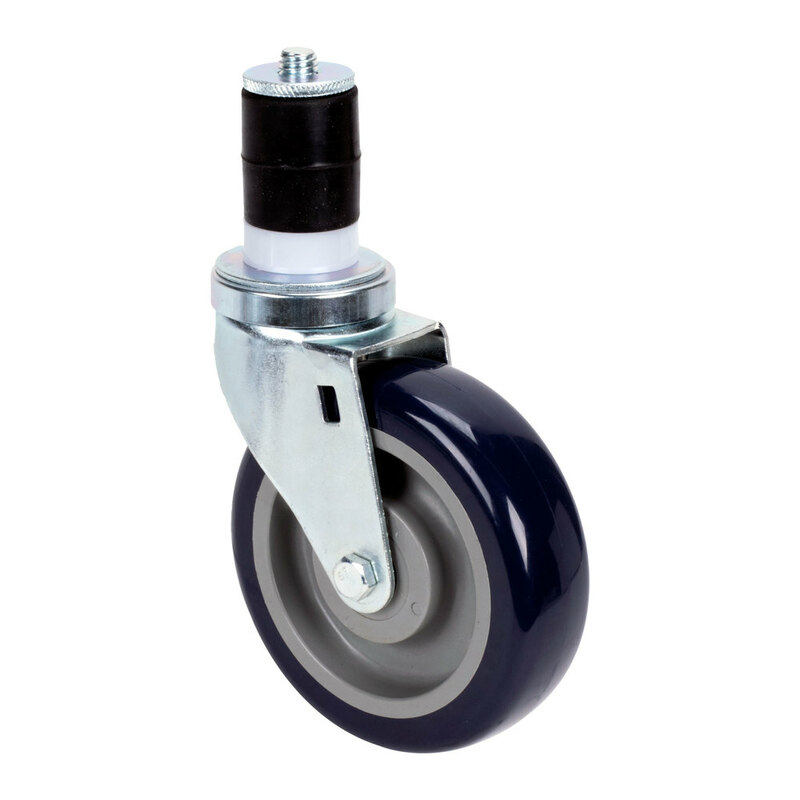 With a total weight capacity of 1400 lb., these wheels can stand the toughest of tests, and are sure to meet your needs. 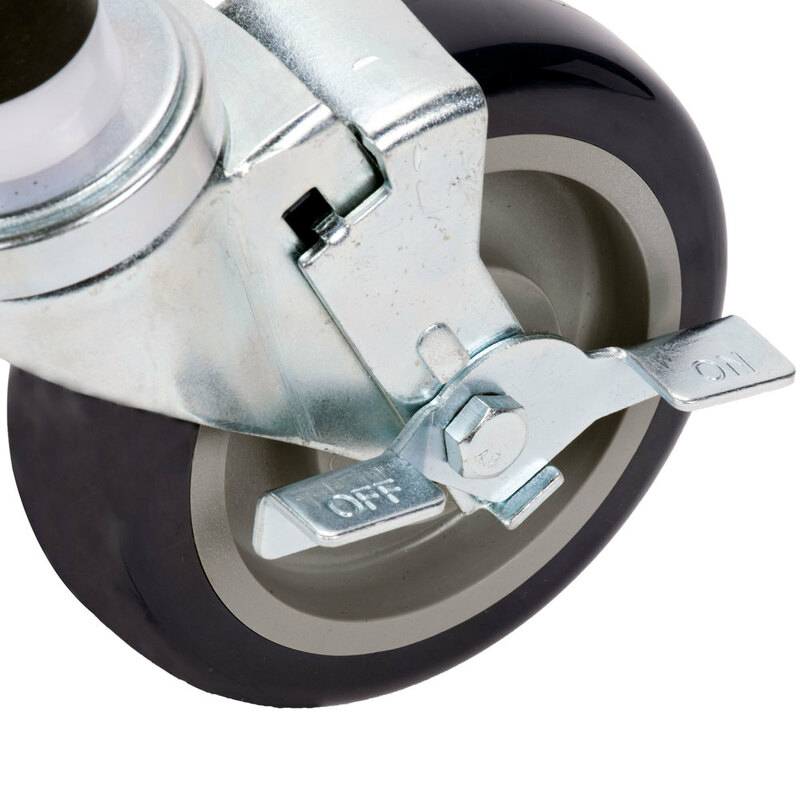 This set of casters gives you the option of taking the table or equipment stand with you where you need to go, and then keeping it secure with the flip of a lever, conveniently placed at foot level for easy locking and unlocking. It offers smooth transportation to keep items on the surface of the table as still as possible, preventing any spills or falls. And with the mobility this set of casters provides, your staff can easily move tables to clean those tough-to-reach places! Unlike a stationary table, which needs to be carried by at least two people, the benefit of having wheels attached makes it a one-person job that can be done quickly and easily. 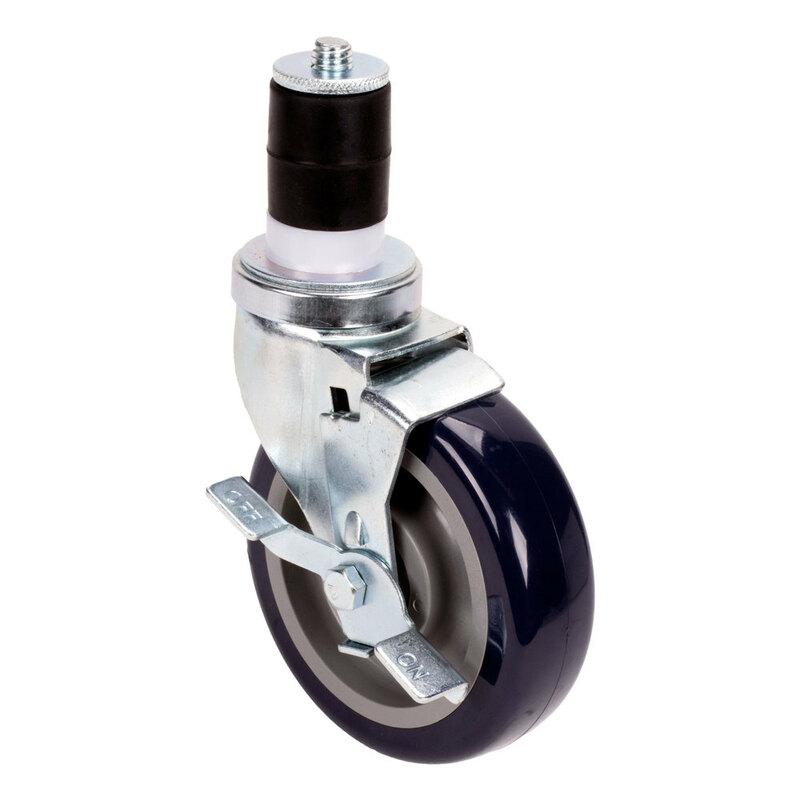 Capacity per Caster: 300 lb. Please choose the state in which your equipment will be installed so we can show you our closest vendors. 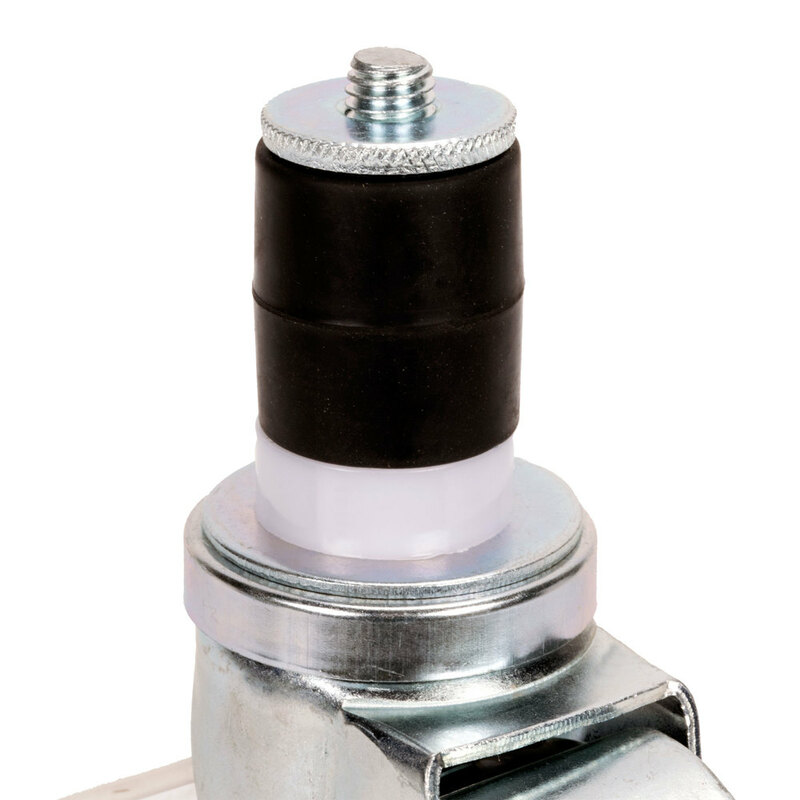 Our commitment is to quality products and prompt, reliable customer service. If you have questions about Regency products or can't find what you are looking for, we encourage you to contact our helpful customer service staff for assistance.